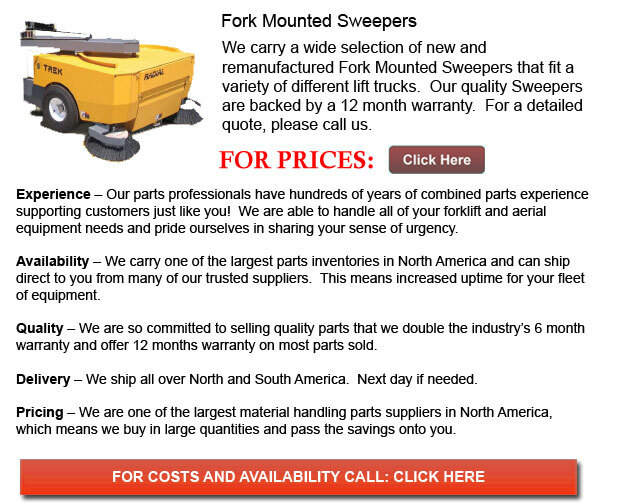 Fork Mounted Sweepers - This particular accessory actually makes industrial sweeping jobs much easier to do. The versatile forklift mounted broom is designed for use with either wet or dry material clean ups. It can squeegee water and push snow effortlessly. This attachment is frequently utilized in order to clean garbage from warehouses, construction sites, docks, parking lots and nearly everyplace it is needed. The forklift sweeper is a low maintenance accessory which utilizes quick-tite blade products to effortlessly mount to the lift truck.